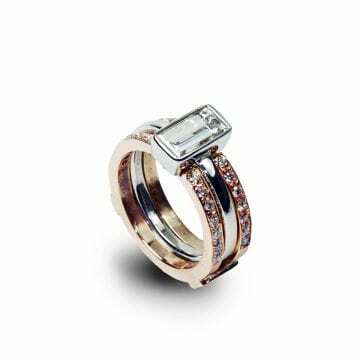 The 14kt white gold diamond ring is bezel set with (1) princess cut diamond that has a carat weight of 0.67ct. The band is accented by a hammered finish. 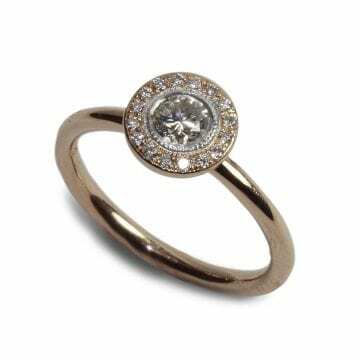 The 14kt rose gold diamond engagement ring is a halo style that features (1) round brilliant center diamond (0.28ct) surrounded by a halo of (17) round brilliant diamonds. The 14kt white gold engagement ring features (1) round brilliant cut center diamond which has a carat weight of 0.78ct. 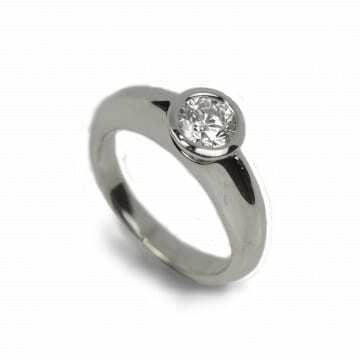 The 14kt white gold engagement ring is bezel set with (1) round brilliant diamond which has a carat weight of 0.70ct. The 14kt white gold diamond band is an open braid style bezel set with (9) round brilliant cut diamonds and bead set with (22) round brilliant cut diamonds. 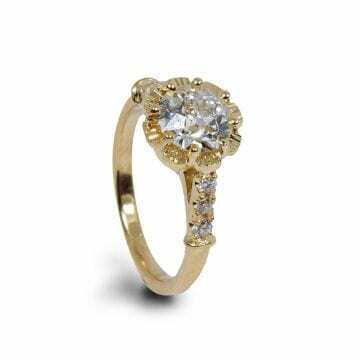 The (29) diamonds have a carat weight of 1.18ctw. 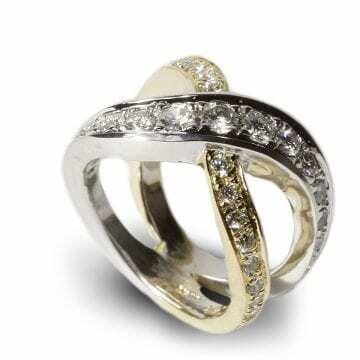 The 14kt white gold wedding band is bezel set with (8) round brilliant diamonds that have a carat weight of 0.52ctw.